It's a race to see who will raise the most and surpass their individual giving goals by then end of April. And you can help Rod reach his goal of $500. 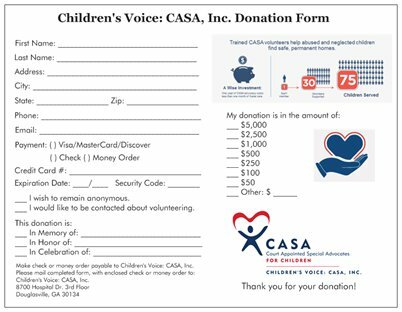 Your gifts, both large and small, help us achieve our mission to speak for the voiceless - foster children that have experienced abuse and neglect. So, help Rod meet his goal and donate generously!